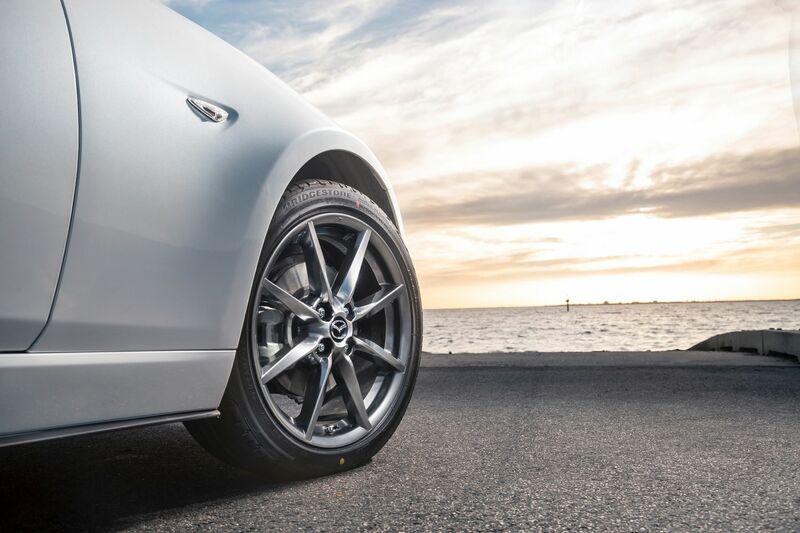 ... although you can splash out with new colours on the alloy wheels, which sit at 16 inches on the 1.5-litre Roadster - now the only car in the line-up with the baby engine – and 17 inches on the 2.0-litre models. 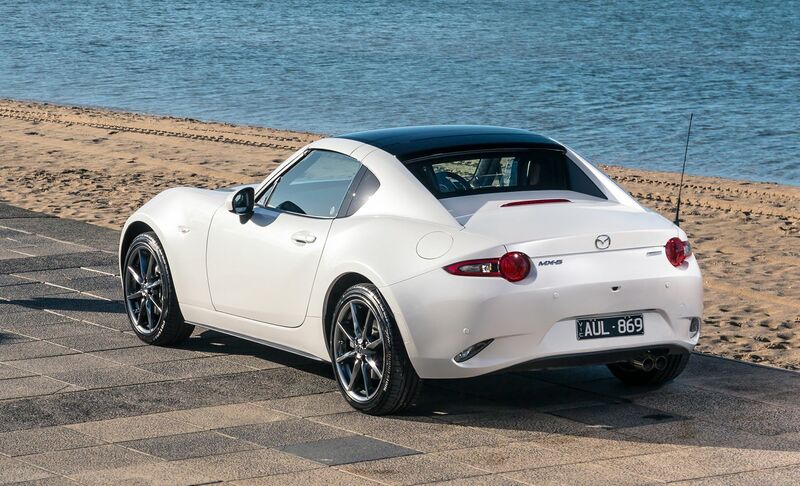 Mazda now also paints the RF roof in black, contrasting with the six body colours, for an extra $1,000 on the bill. This is where things get interesting, and more enjoyable. 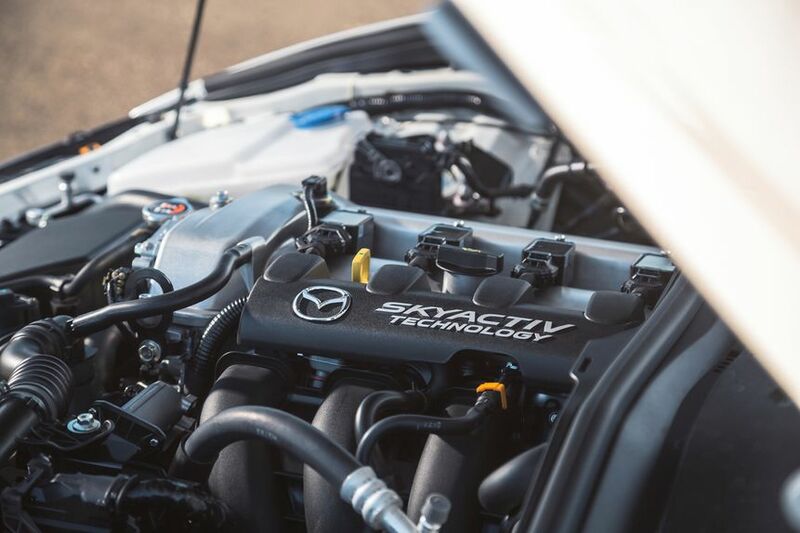 Lots of minor tweaking in the engine room, from the fuel injection to the flywheel and exhaust, has freed more of everything from the four-cylinder engines, without hurting the fuel economy or emissions. The 1.5-litre powerplant has a tiny amount of extra go but the numbers are up significantly on the 2.0-litre, with an added 17kW plus 5Nm more torque. The larger engine also makes more revs before it hits a 7,500rpm redline (up from the previous 7,000rpm) but the biggest boost is in the mid-range response and urge. 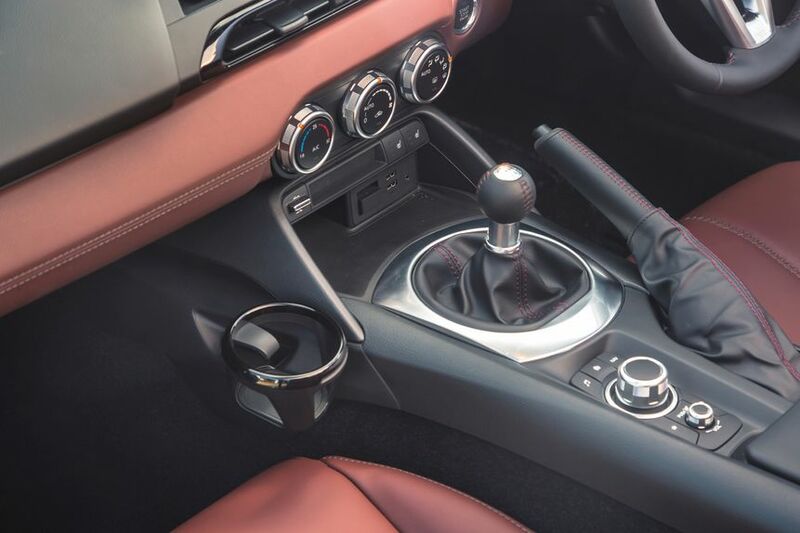 Shifting gears is a little easier, and more tactile, after revisions to the linkage in the manual gearbox. A new reach-adjustable steering column telescopes out by an extra 40mm to make for a better driving position. 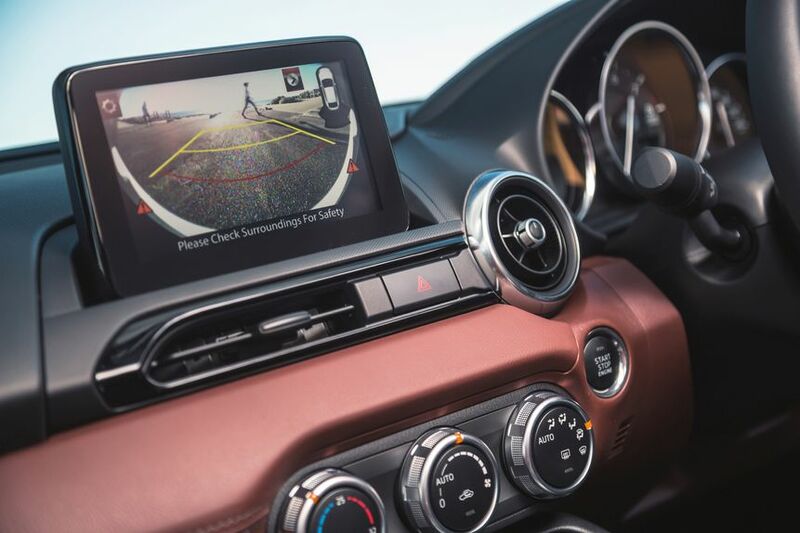 There's also – at last, and due to persistent driver demand – a rear-vision camera which displays through the rear-view mirror on the 1.5-litre and the infotainment system on the 2.0-litre cars. Auto safety braking, which detects both vehicles and people, is fitted for the first time across the line-up, and even the sunvisors have been re-designed for more protection from glare. 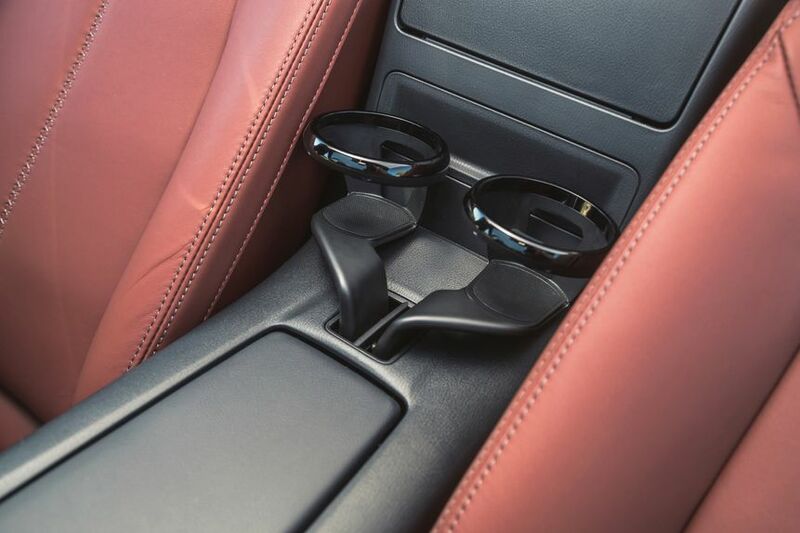 Oh, and coffee drinkers will welcome more-rigid cupholders for better support in a car which is intended to be driven. 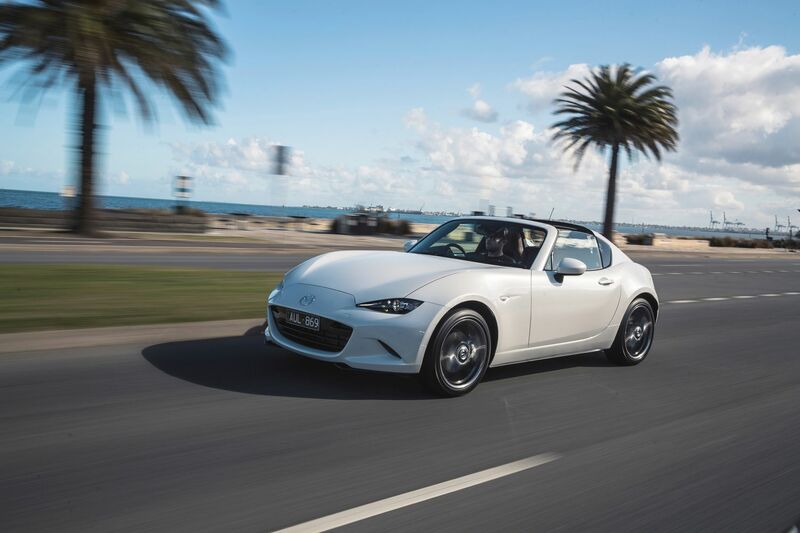 Gold Coast sunshine and the 2.0-litre manual ensures the driving will be the same as always in an MX-5 – crisp and enjoyable. What’s noticeably better is the way the car makes pace without being needing to be flogged to the redline. There is more go in every gear, more response at all times, and enough extra grunt that anyone can feel the difference. 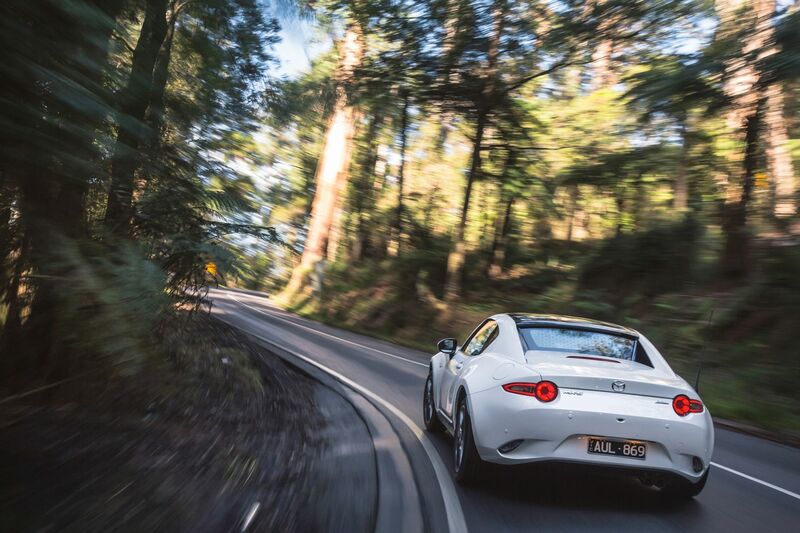 So it’s easier to flow the car down a twisting road, using fewer gear changes and without having to resort to second-with-big-revs when things get tight. 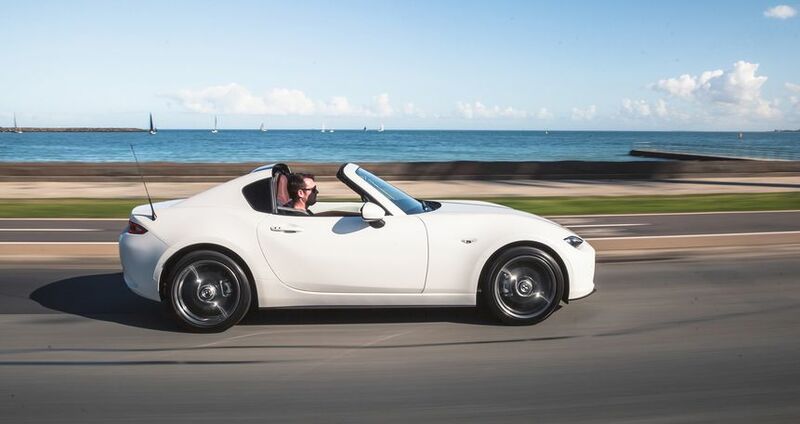 Shifting is more enjoyable, closer to the rifle-bolt action of the original MX-5 back in 1989, and the car is happier to pull all the way to the redline without getting thrashy or breathless. 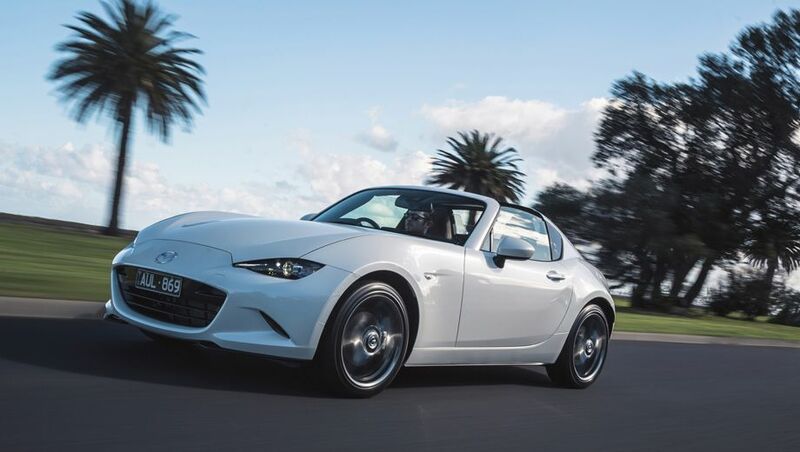 Suspension control and cornering grip is excellent after the tweaking earlier this year and it makes a better all-round package with the improved engine. 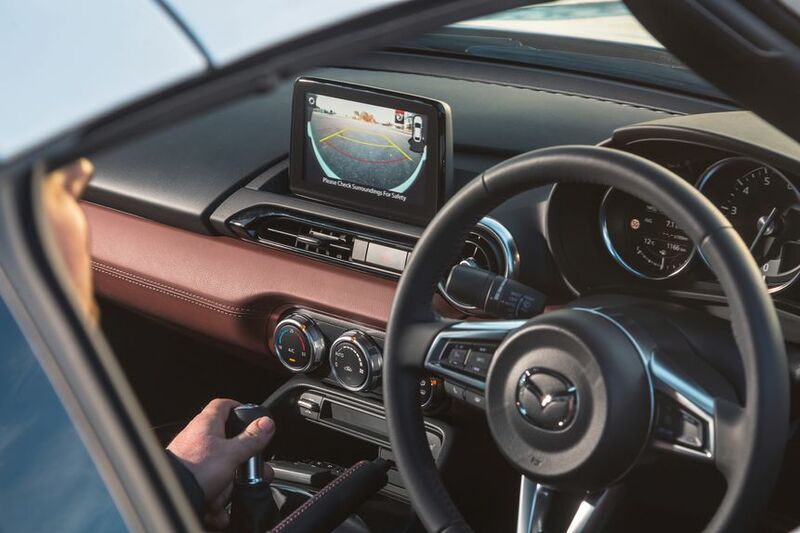 As for the adjustable steering column, it makes my driving position closer to optimum but still not perfect, there is no real need to trial the sun visors or cupholders, and the rear-view camera makes parking a little less stressful. 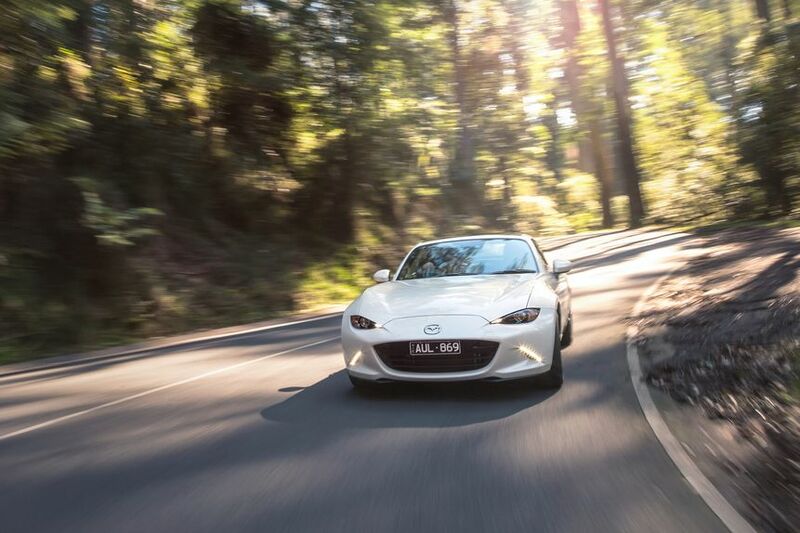 The MX-5 is always sharply focussed and on target, so there is not a lot of room for improvement. Yet the punchier 2.0-litre motor makes a significant difference to the driving enjoyment, allowing more smiles for less effort and even more opportunity to cut loose on a favourite road. 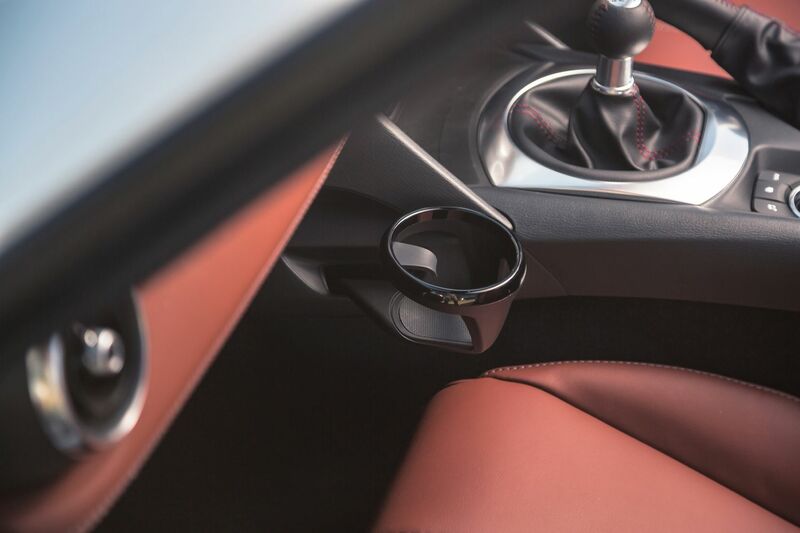 Combine the extra go with the other improvements, particularly the reach adjustment in the steering column, and summer is now looking just that bit more enjoyable for sports car enthusiasts. 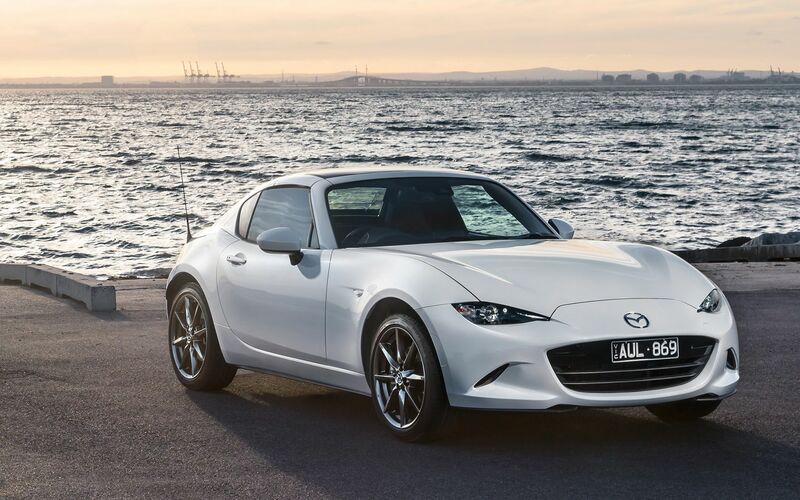 Comment on "Review: Mazda MX-5 (mid-2018 refresh)"